For this kind of walnut furniture living room, the best idea would be to stick to even surface and little or no decorative ornament. You can easily go with a set that is made of solid wood and does not feature any decorative inserts. When it comes to matching soft furniture, you can choose anything you like — fabric, leather, velvet, etc. It is preferable to stick to monotonous upholsteries. While living room furniture sets for traditional rooms can have a little carved ornament if you feel like it, going with modern setting would imply sticking to even surfaces. In this kind of an environment you can experiment with other accessories, though. For example, pay attention to units with glass inserts — cabinet doors, display shelves, or simple decoration stripes. LED lighting under glass shelves looks especially impressive in a modern room. You can play with the light shades as much as you want, but green is the best colour to stylishly contrast walnut. Rustic rooms are not exactly common, but they have some charm of their own. And, of course, reclaimed rustic wood offers an affordable and eco-friendly decoration solution. Once again, the interior should be rather minimalistic. Some walnut furniture for living room can also feature an antique theme. These models will be the most richly decorated ones, which will make them a bit bulky. So, you should better make sure your space is enough first. Finally, if you are trying to create a truly impressive atmosphere in your room, you should choose in favour of genuine wood rather than MDF in walnut effect. First of all, the difference is very traceable, even though MDF in wood effect also looks quite appealing — it is still not as appealing as wood. And, of course, genuine wood is more durable and can stay in your room for decades – MDF will never last that long. Quite logically, genuine walnut furniture will cost more than MDF. So, one more shopping tip you should not neglect is to search in the big stores. 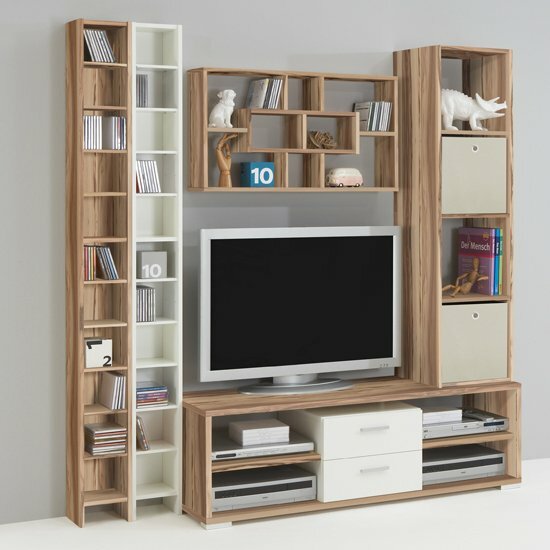 In the UK, a very nice platform where you can find plenty of stylish, high quality walnut furniture — living room, dining room, or a bedroom — is Furniture in Fashion . Of all the local stores, this one offers some of the most affordable prices, and it regularly introduces more discounts — sales, clearances, etc. Still, the major reason to check out the selection at this site is that it offers only quality solutions from the leading local and European manufacturers.